MANILA, Philippines - Mobile technology brand leader OPPO officially launched its newest flagship dual selfie camera phone, the F3 Plus—the first-ever smartphone with a wide-angle dual front camera to easily accommodate ‘groufies’ in a single shot. 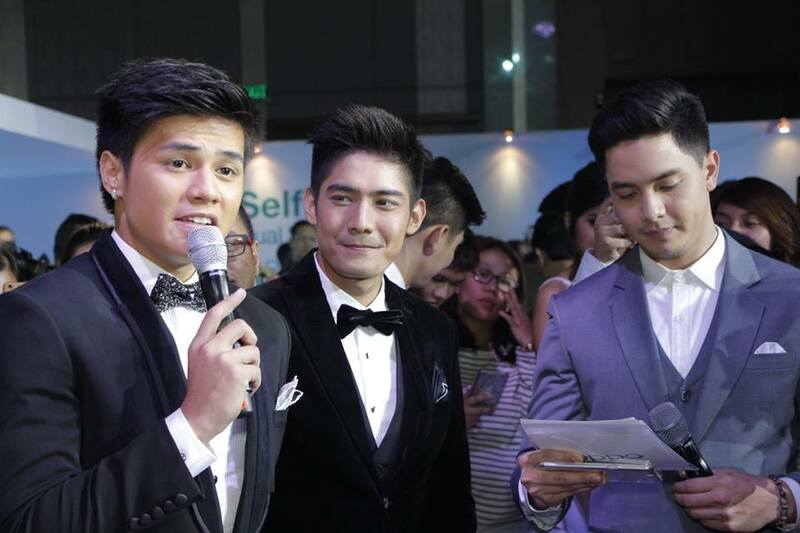 Hottest Pinoy celebrities joined the night of fun and fashion in the grand unveiling of OPPO F3 Plus at the City of Dreams Manila in Parañaque. The country's second and worldwide no. 4 bestselling smartphone in 2016 pioneered the 'Selfie Revolution' concept with their F1 series dubbed as the "Selfie Expert." “We are very excited to see the F3 Plus start a new trend in groufies and reinforce our position as the Selfie Expert,” OPPO Philippines Brand Marketing Manager Stephen Cheng said. OPPO Philippines Brand Marketing Manager Stephen Cheng. 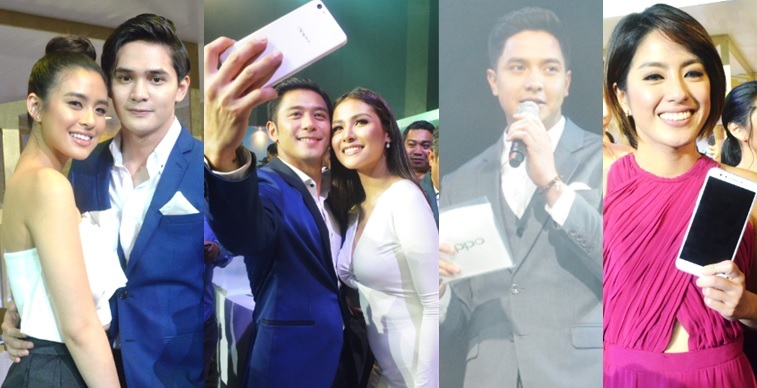 Leading Kapuso star Alden Richards headlined the big reveal of OPPO's latest camera phone. Meanwhile, other artists including Robi Domingo, Gretchen Ho, Ronnie Alonte, Apple David, Glaiza de Castro and Kris Bernal also graced the grand launch of F3 Plus. 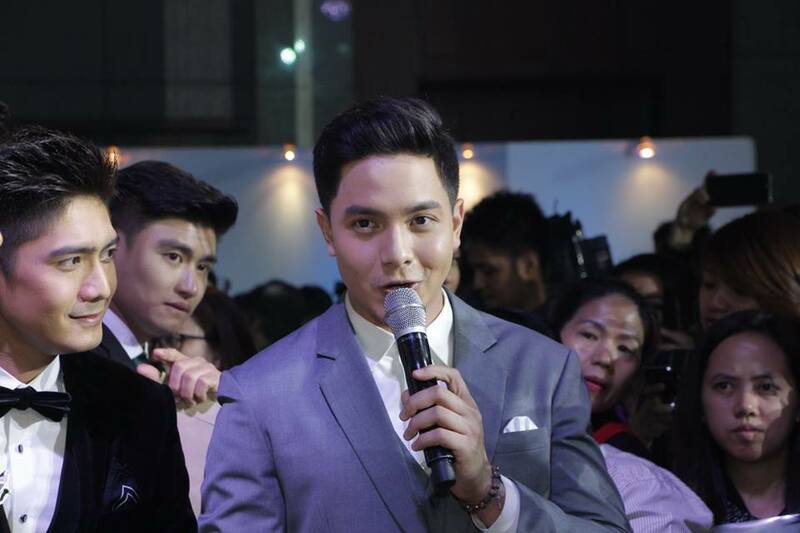 'Pambansang Bae' Alden Richards leads the unveiling of OPPO F3 Plus. F3 Plus launch event host Joey Mead King with OPPO brand ambassador Alden Richards. Alden Richards and Robi Domingo (left) for OPPO F3 Plus. Kapamilya stars Ronnie Alonte and Robi Domingo with Alden Richards. Kapuso stars Glaiza de Castro and Kris Bernal. Volleyball player-turned TV-host Gretchen Ho. Loveteams of Gabbi Garcia and Ruru Madrid (GabRu) and Rocco Nacino and Sanya Lopez (RocSan) and Derrick Monasterio and Bea Binee (DerBea) glammed up the event. Gabbi Garcia and Ruru Madrid. Rocco Nacino and Sanya Lopez. Derrick Monasterio and Bea Binene. OPPO F3 Plus big launch event. The new smartphone sports a similar 16-megapixel (MP) selfie camera with a 1/3-inch sensor for clear image results even in low light, as well as an f/2.0 aperture for depth-of-field aesthetic. OPPO F3 Plus sports two front-facing cameras that work independently. The built-in Smart Facial Recognition, for instance, notifies users to switch to “Groufie” mode when more than three people are detected. This makes the switch from selfie to groufie effortless while keeping image quality stable. It also comes with the well praised editing software, Beautify 4.0, which offers a range of beautification modes for a flawless look in every selfies and groufies. The 16MP rear-facing camera, co-developed by Sony, powered by a customized 1/2.8-inch IMX398 sensor for fast focusing speed, outstanding noise reduction, and advanced low-light performance—ideal for serious photography. The hardware of the F3 Plus is designed to support its powerful front and rear cameras. The phone’s octa-core processor is backed by a 4GB RAM and 64GB ROM to ensure speed, while OPPO’s ColorOS 3.0 optimizes performance to lower energy consumption. Lightning-Fast Touch Access also unlocks the phone in just 0.2 seconds—the fastest in the market. The six-inch display screen is made of 2.5D Corning Gorilla Glass 5 to resist damage. Pre-applied protective coating further makes the screen scratch-proof. The F3 Plus in Gold is coming to the Philippines this April 1 with the suggested retail price of P23,990. OPPO F3 Plus official pricing in the Philippines revealed. Pre-orders, along with a free Bluetooth headset and a selfie stick, will be available in all OPPO concept stores and selected dealer stores nationwide as well as at the brand’s official online shop in Lazada until March 31. Shoppers can get OPPO’s latest Selfie Expert via Home Credit through a nine-month installment plan at zero percent interest. They can also watch out for Globe’s exclusive offer for OPPO F3 Plus, with date and other details to be announced soon.